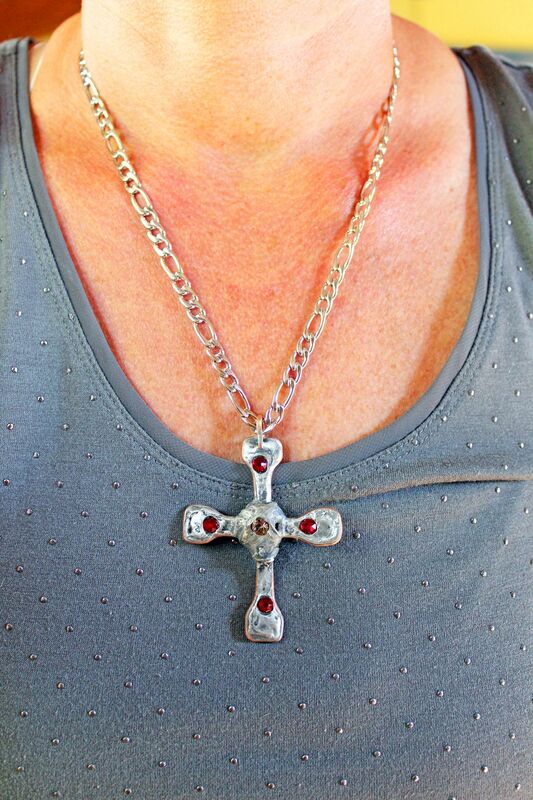 An extra large, personalized hand crafted silver solder cross with your choice of sparkling Swarovski crystals on sterling silver or eco friendly stainless steel chain. 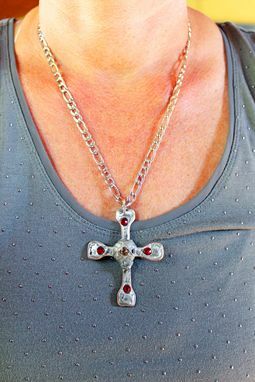 This cross has a warm, rustic appeal with a pop of colorful sparkle. 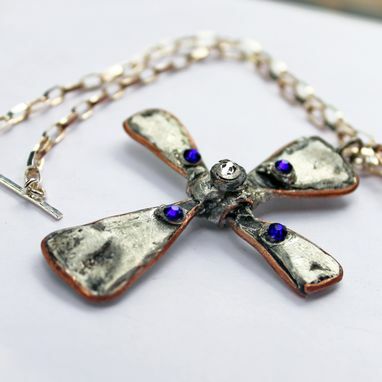 I make each cross by hand using wire and soft silver solder. You choose the color of crystals you want and I'll set them into the 5 points on the cross. 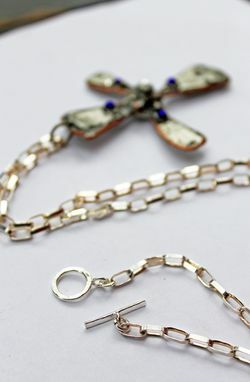 There's a choice of stainless steel chain or sterling silver chain. 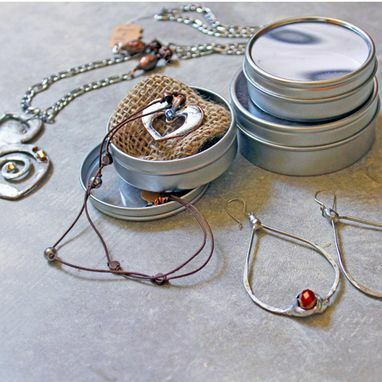 Prices will vary depending on the chain you choose. Cross measures 3"L X 2"W. The length of chain is up to you. 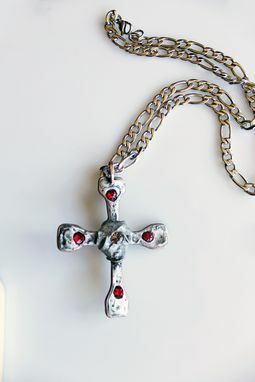 A smaller version of this cross necklace is available with the same choice of stainless steel or sterling silver chain. Prices will vary depending on materials used. 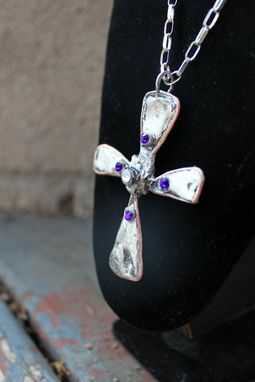 If you want this necklace or something else custom made for you just contact me and we can talk. I'll get back to you within 24hrs of receiving a message from you.